We have moved! Which explains why my weekly post is so late this week. Coincidently, this week’s featured shop also acquired new digs at the same time. Lotus Mira from Washington DC is newly relocated but that hasn’t slowed this talented artisan down. Heck, she is even working on a masters and a law degree in addition to everything else. Lotus Mira specializes in art pieces that are truly one of a kind. 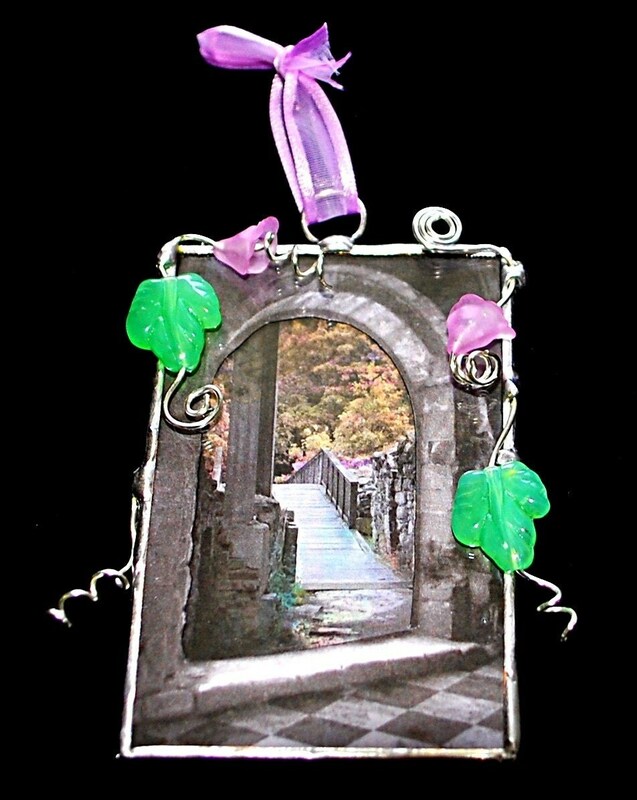 Images are floated between thin panes of glass and then framed with lead-free solder. Many of the pieces are double sided, giving the lucky owner a two-for-one deal. Many of Lotus Mira’s pieces are wearable art. 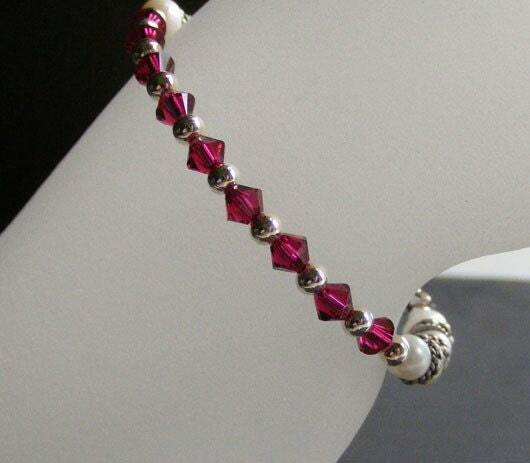 One can chose from pendants, bracelets, and earrings. Also available is a selection of collage art framed in solder and wire. Lotus Mira gives dimension to these collages by layering the images in several panes of very thin microscope slide glass. Brilliant! 1.) The first five people to buy a four-paneled soldered bracelet will get a matching one inch soldered pendant free. And yes, you can combine these offers to get a supper deal on a matching bracelet and pendent set! This week’s featured artisans give their pieces the most wonderful names: Sweet Patriotism, Midnight Rendezvous, Blue Whimsidot, Floating Down the River, Musical Delight. I love it! …And I’m slightly jealous – naming products is not easy for me. 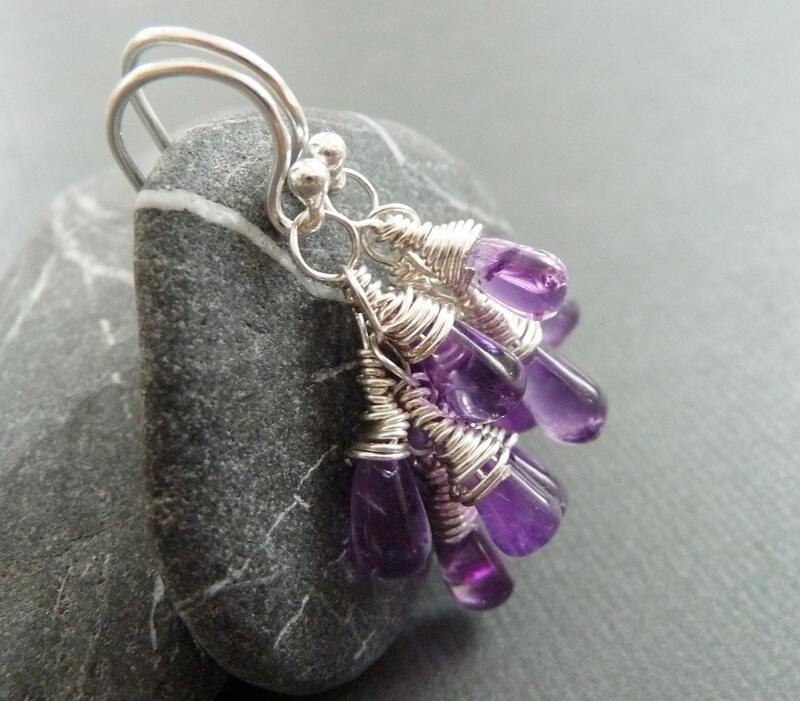 The talented woman of ck silver are a mother and daughter team who enjoy working with silver, pearls, Swarovski crystals, and semiprecious stones. Although they each have their own style, Cindy and Marilyn’s pieces work together seamlessly to form an elegant collection of silver jewelry. 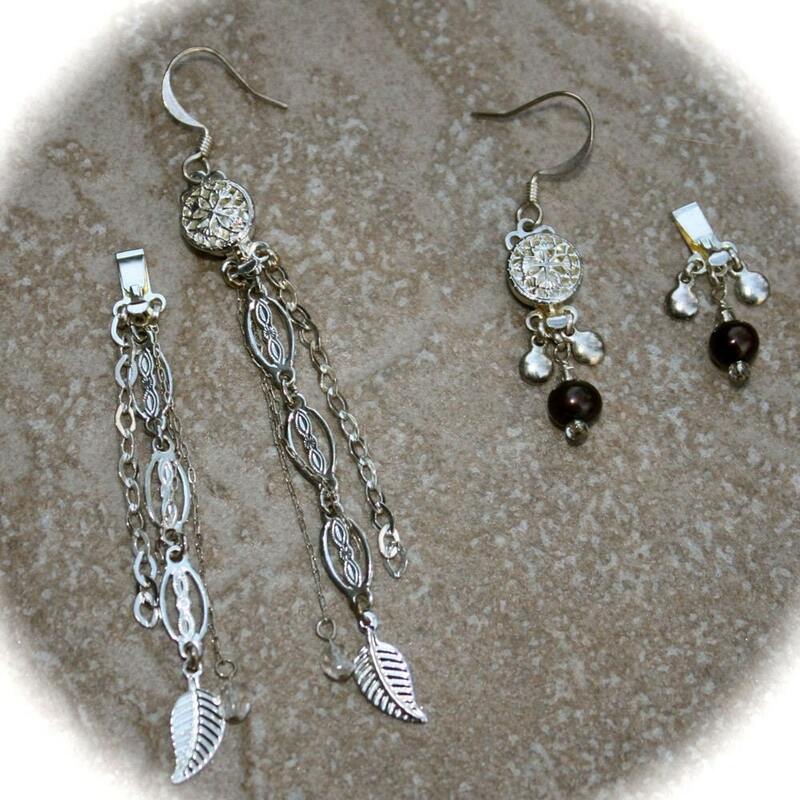 Elegant and whimsical, ck silver’s Whirligig line of earrings is fabulous! 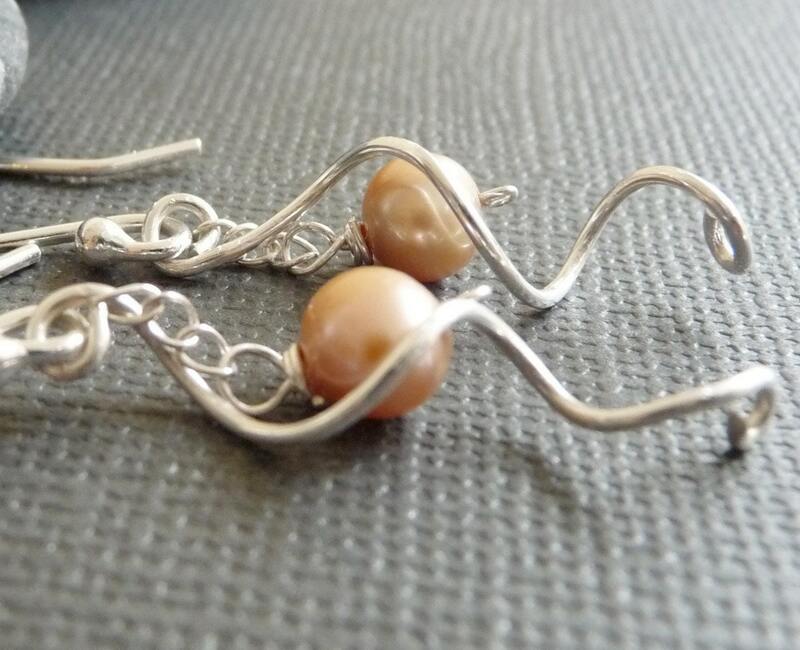 I really like the Champaign Swirl design, made with silver wire and fresh water pearls. I love jewelry that has architectural interest and ck silver’s Victorian Elegance necklace caught my eye right away. 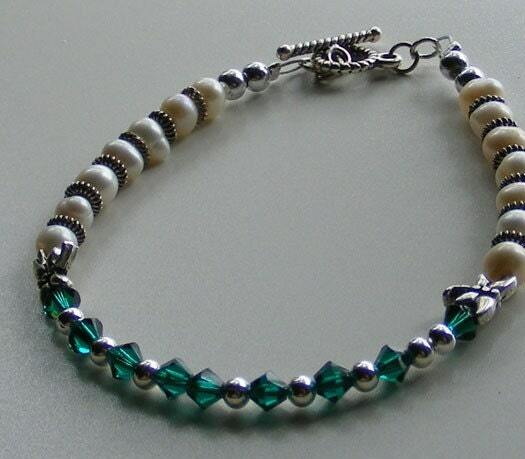 Swarovski white pearls and Swarovski emerald crystals combine on sterling silver to create a unique presentation that is sure to get noticed whether you wear it with your jeans or evening gown. 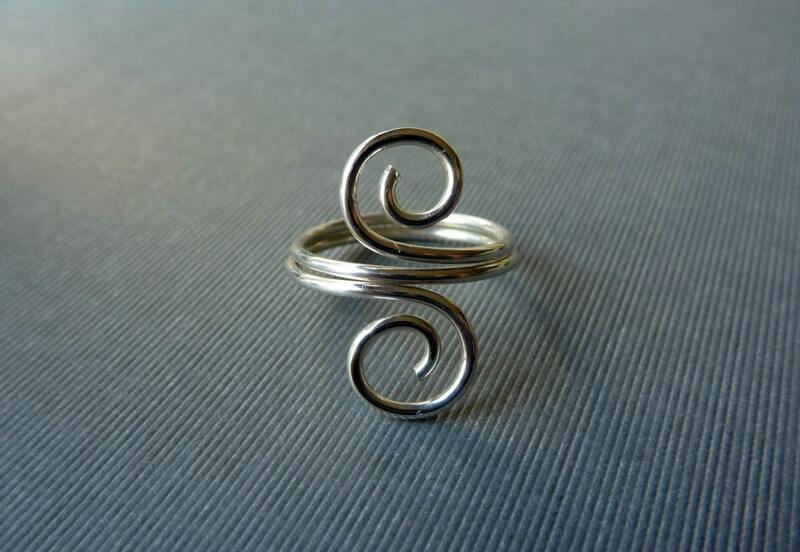 One last thing I have to share with you – this silver-y spiral-y ring. The spiral is one of my favorite shapes and this silvery swirl is just lovely! I think if I was a super hero this would be my power ring. Head on over to ck silver's shop on etsy where you will find many more wonderful selections. 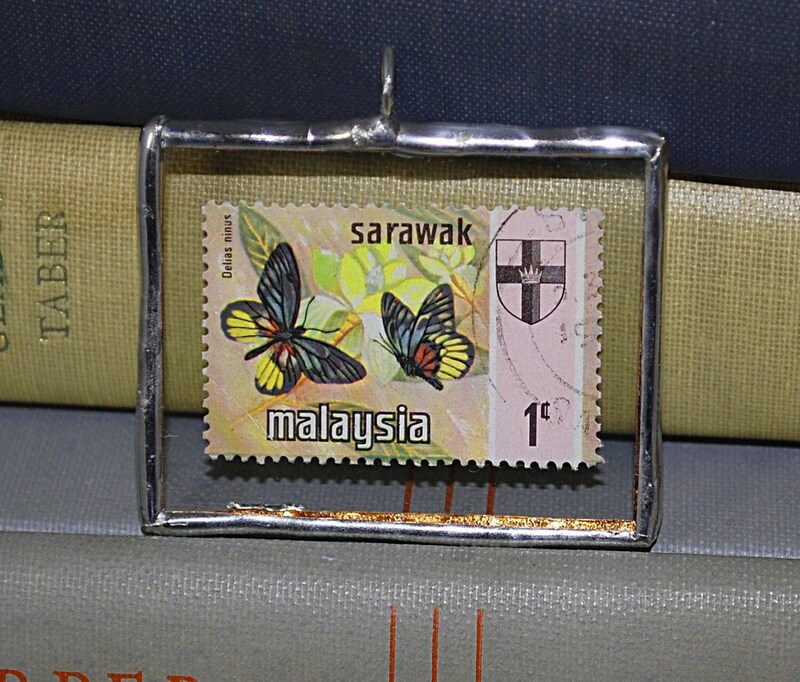 Silver matches everything and you are sure to find something for yourself or that special girl! 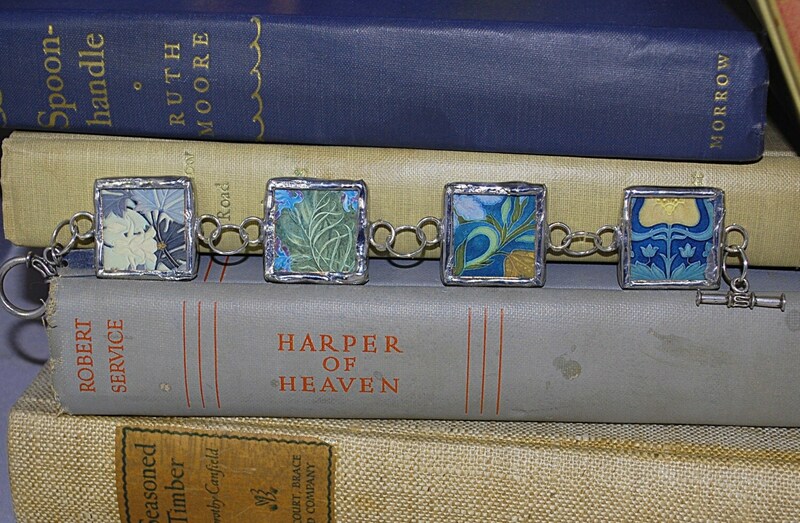 Check out ck silver’s blog to read musings on life and share in some great handmade finds. I recently met a fellow bath and body artisan with a philosophy I really dig. Just the Goods from Winnipeg creates luscious Vegan body goodies free of petrochemicals, parabens, sulfates, phthalates, and artificial fragrances, dyes and flavors. 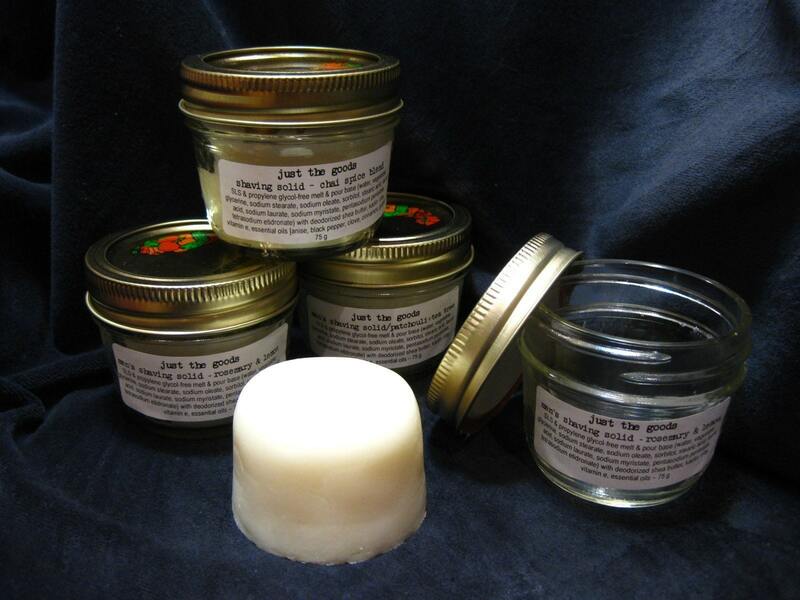 And to do away with wasteful packaging most products are shipped in a refundable or reusable glass jar. 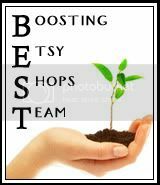 In addition, Just the Goods products are super affordable, giving you all the reasons in the world to try out some of these natural treats. This product really excites me! (Yes, sometimes it really is the little things in life.) 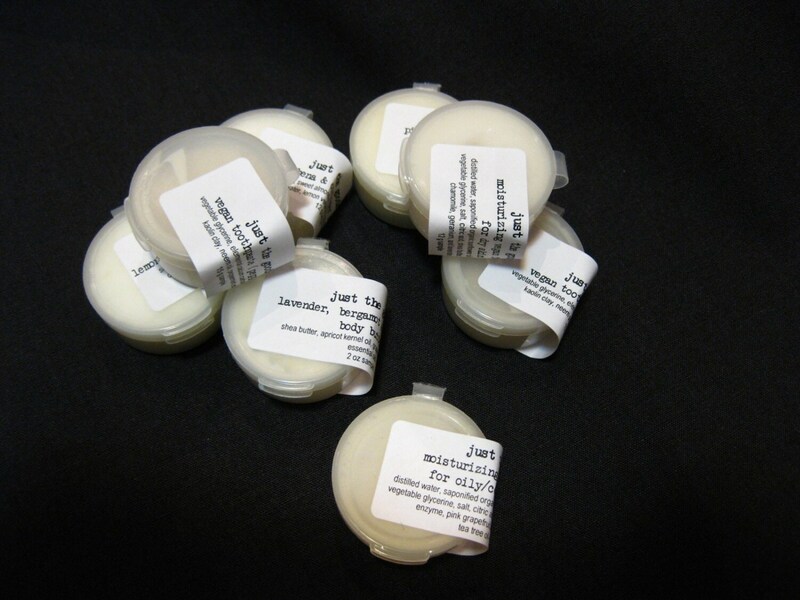 All natural, Vegan Toothpaste made from vegetable glycerin, calcium carbonate, kaolin clay, coconut oil, and neem oil. Fantastic! AND – wait for it …. you can get it in flavors! Peppermint, cinnamon, anise, clove, or orange essential oil can be added per your whim. 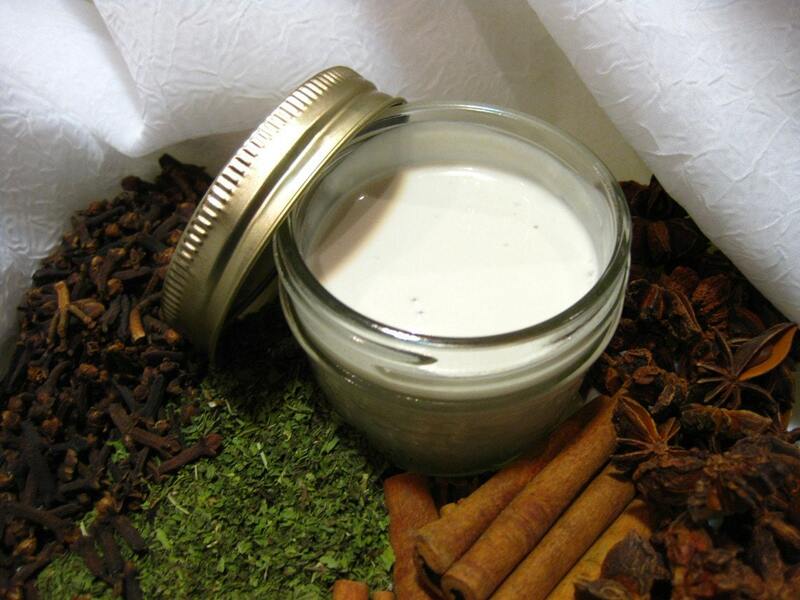 Vegan Shaving Cream Solid comes in the manly scents of Chai Spice, Patchouli + Tea Tree, and Rosemary + Lemon. Yum! You even have the option of purchasing a wooden shaving brush with your order. What’s that you say? You have dry skin? 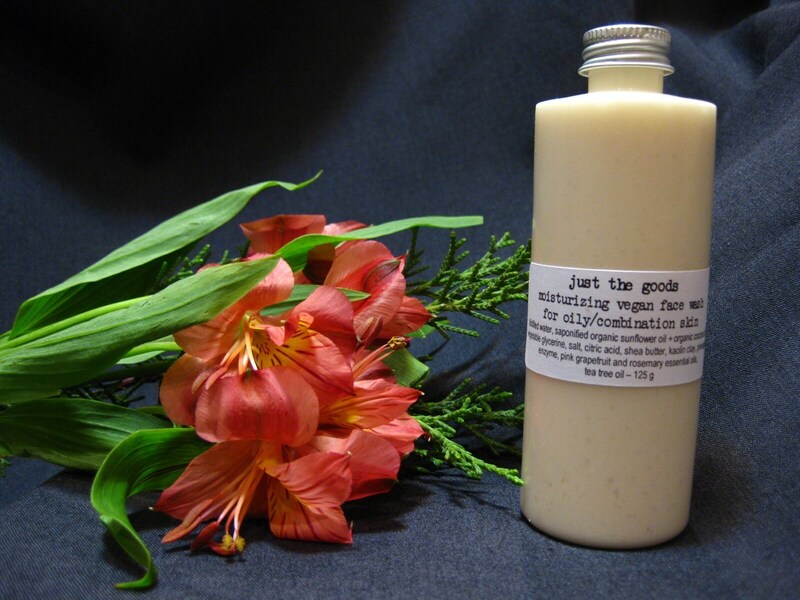 Just the Goods has a moisturizing face wash for you, too! This is just the most awesome thing ever – your choice of 4 samples from Just the Goods for $2.70 + shipping!! Perfect for people like me who have a hard time making a decision or for those who want to test the waters before diving into a full size container. Or tuck all four into a gift basket for that hard-to-buy-for friend. 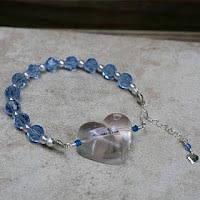 Unique Designs by Ms. P on Etsy is the place to pick up hand-crafted jewelry personalized by birth month. 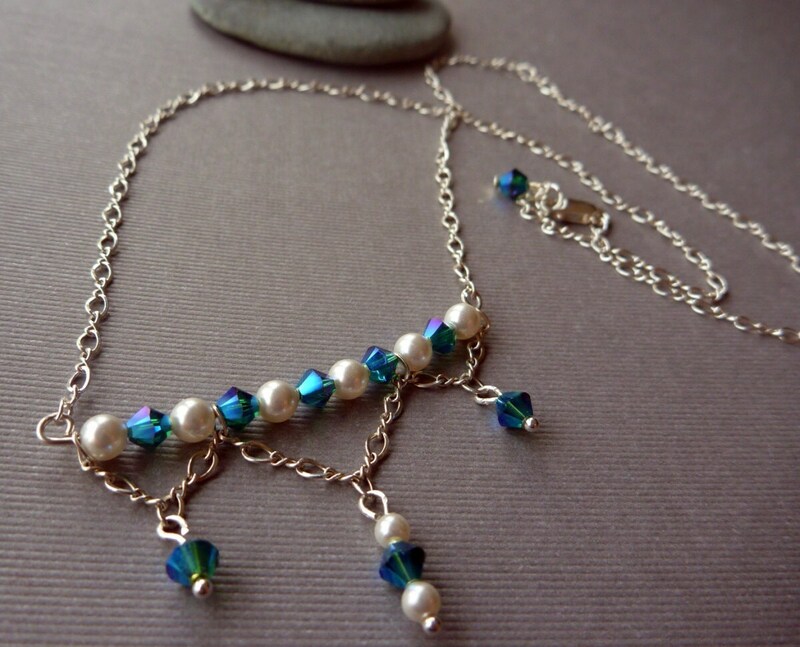 Paula, the creative soul behind Ms. P will customize a piece for you or someone special with Swarovski crystals in your chosen birth-month colors. Ms. P has Family Bracelets crafted from a blend of freshwater pearls, bi-cone Swarovski crystals, and silver plated findings. The crystals can be all of the same color, or create a truly one of a kind piece by including the birthstones of the whole family. This would make a truly thoughtful gift at an affordable price. 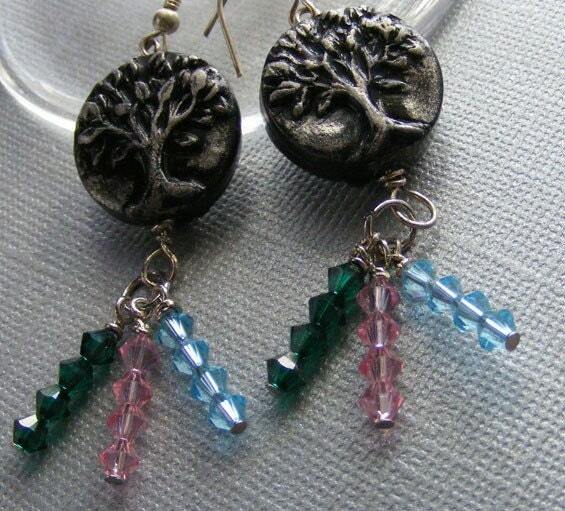 Or how about earrings showing off your branch on the Tree of Life? Dangling from a bead depicting the Tree of Life are custom designed branches of sparkling Swarovski crystals representing your family. The Alexanders are involved in all facets of the jewelry making process, including making original lamp work beads, fused glass and borosilicate glass pieces. Skip also does his own metal work. And here is the kind of thing I LOVE: A handmade, OOAK (one of a kind), personalized gift for under $20. 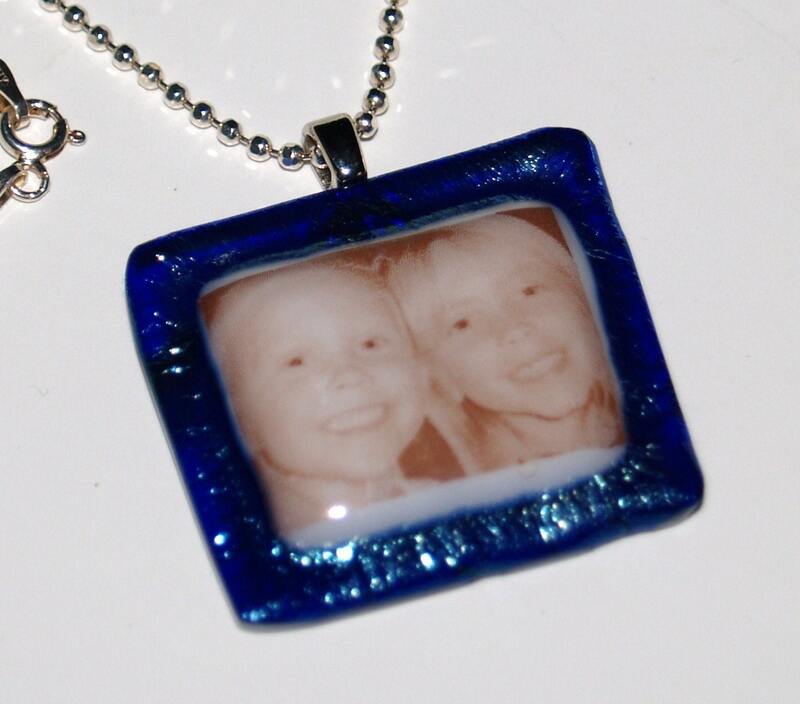 Send Jenny your photo, artwork, logo, written message, or any image and Alexander’s Designs will make it into a fused glass pendant! You can choose the colors of the glass, too! 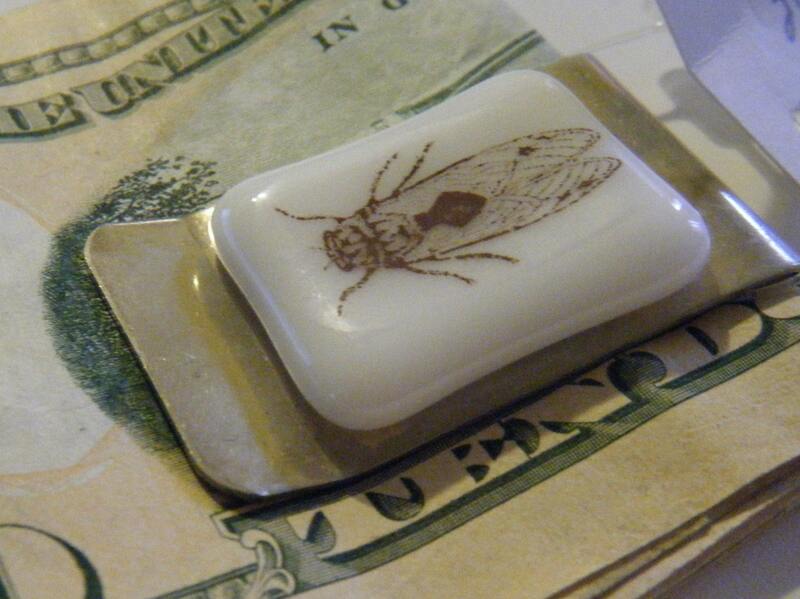 They can also put your fused glass on a money clip, perfect for (ahem) Father’s Day. Check out the Alexander’s blog for a peek into their artistic process, upcoming shows they are attending, and their review of other artisans. One of the silver linings to these tough times is the reminder of what is really important. We get the chance to ponder where we want our money to go and what purchases are truly meaningful. For me, buying local and artisan goods is a priority. Today I found a jewelry artist who not only hand makes her items, she also donates her time and talent to Threads of Love. Threads of Love is a Christian non-profit organization whose members sew, knit, crochet, and embroider items for preemie babies in Neonatal Intensive Care Units all over the country. 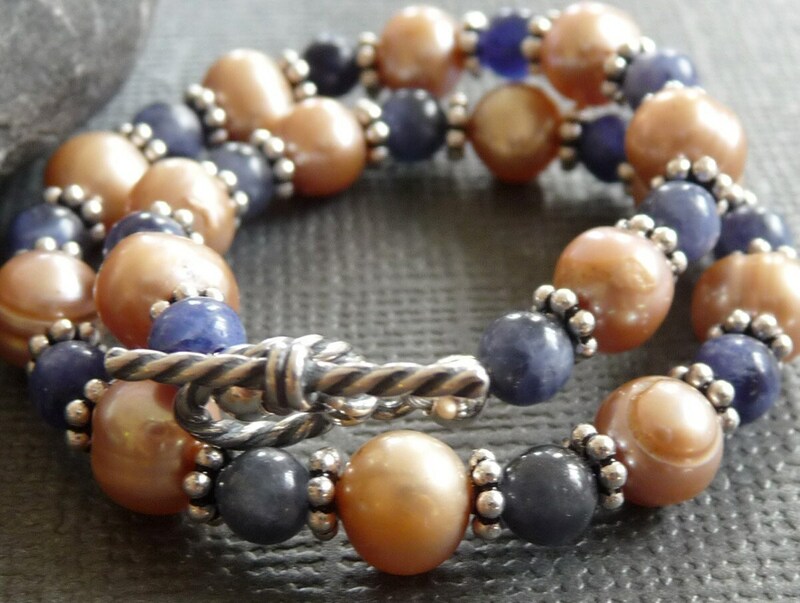 JujuBee Jewelry has joined the Treads of Love ranks as a designer and maker of Memory Bracelets and Anklets. One of the unique collections available in JujuBee’s shop are her signature Day-to-Night Earrings. 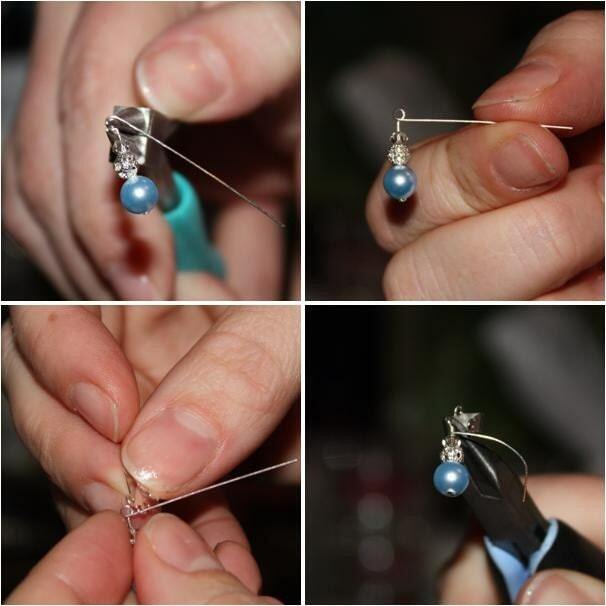 These are a fabulous idea for the girl wanting to be efficient with her time and money. Simply switch out the daytime dangles with the dramatic going-out-for-the-evening set and Voila! You are ready to go. If the two-for-one deal of the Day-to-Night Earrings is still just a little more than you can handle right now, JujuBee has an even sweeter deal for the DIY types out there. 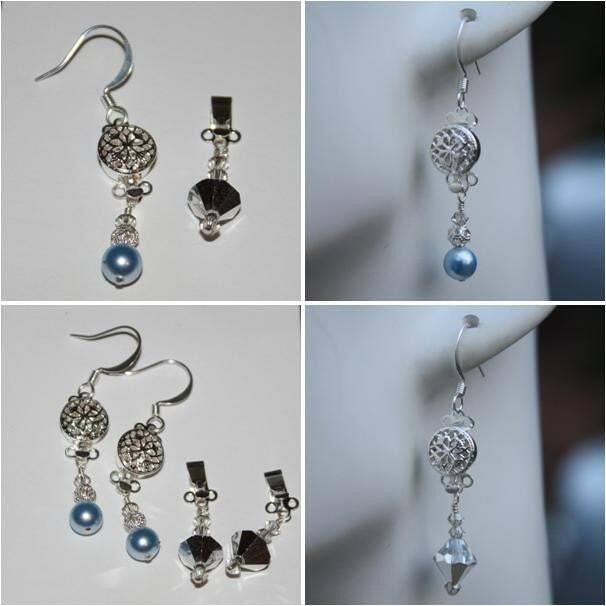 She offers a Day-to-Night Earring Tutorial Kit that includes a 5 page tutorial and all the materials to make your own set for less than half the price! And for the really budget-minded, Jujubee offers her tutorial for just $3.00. And since it is an e-book, there is no postage to pay. Obviously, Jujubee Jewelry has put a lot of thought into the items she makes and the people who will cherish them for years to come. 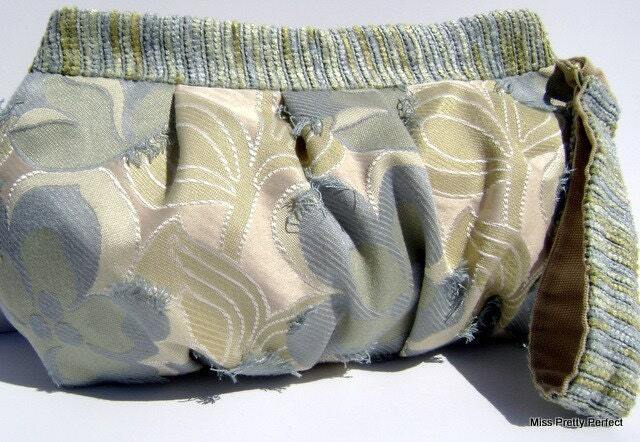 You can learn more about Jujubee and her art on her blog. For years the only bag I ever carried was a backpack. Even when we were in the diaper bag stage, I packed all the girls stuff in, yup, a backpack. Goodness forbid I should own something as girly as a purse. However, I have to admit I now own (and use!) 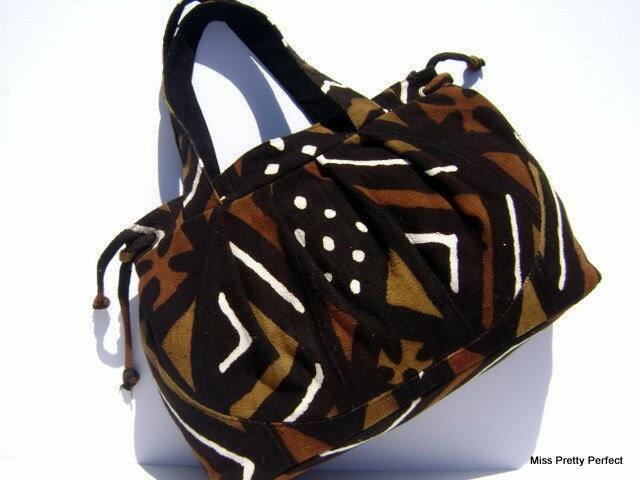 a matching collection of bags that includes a tote, overnighter, purse, make-up bag, wallet, and laptop case. Yes, they match! All in the same pattern. 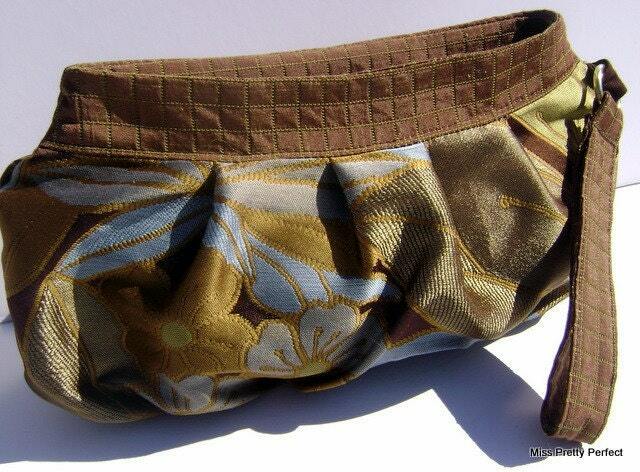 I even created the Vida Bonita line of lip balms to match a famous line of bag patterns. 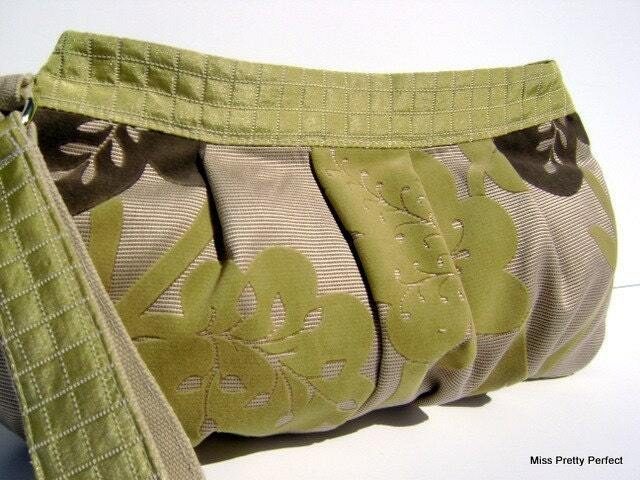 I want to introduce you to an amazing artisan hand bag line: Miss Pretty Perfect. The styles is this line are all named after strong woman worth admiring. Each style comes in several fabric patterns and you can coordinate all your pieces or mix it up to match your different looks. La Toya Stevens, the strong woman behind Miss Pretty Perfect is a talented fashion designer based out of North Carolina. 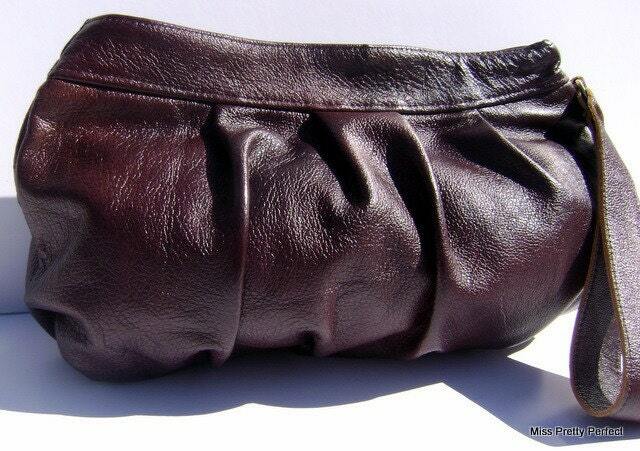 Before striking out on her own she worked as a sewer for a private label handbag designer in Union Square. 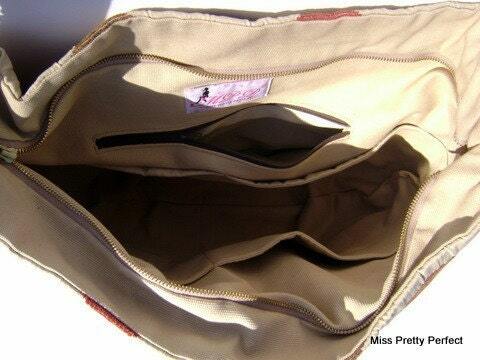 This is one of my favorite styles: the Miss Amelia Overnight Bag named after the queen of travelers herself, Amelia Earhart. This hobo has a 39” strap to wear across your body while toting your gear across town or across the Atlantic. 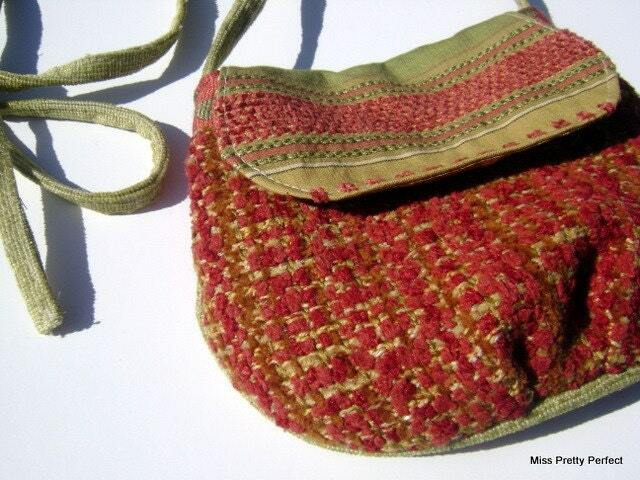 The Miss Rosa Gathered Wristlet was inspired by another memorable strong woman: Rosa Parks. Can’t you just picture Ms. 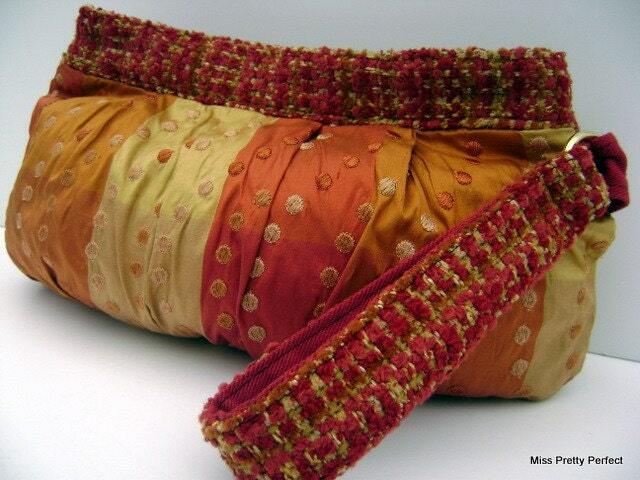 Parks sitting on that infamous bus with one of these clutches by MPP on her lap? 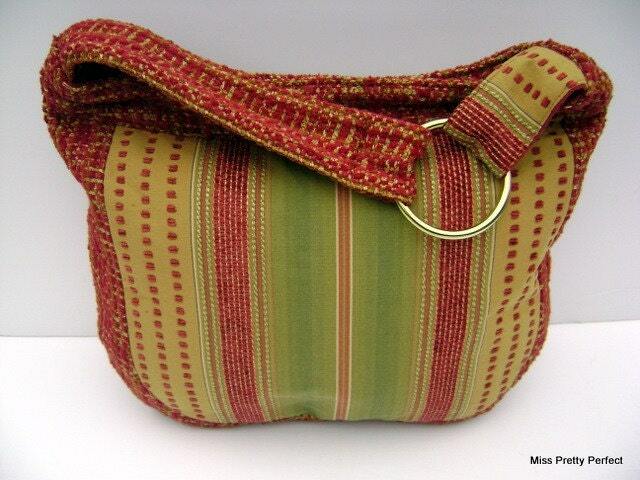 Check out Miss Pretty Perfect’s Blog for glimpses of retired and upcoming styles, features of other artisans and special promotions. Artesia is the creation of Marie Jones.